AppPerfect App Test is a software program developed by AppPerfect Corporation. We know of versions 12.0, 11.5, 11.0. Version 12.0 is downloadable at our site. AppPerfect App Test package has a size of 102,815,762 bytes. 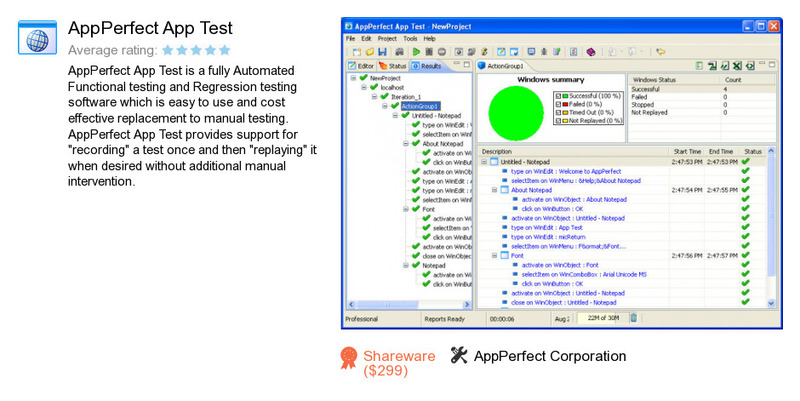 AppPerfect Corporation also publishes AppPerfect Java Code Test and AppPerfect Load Test.